LA TRINIDAD, Benguet, June 29 (PIA) – – Livestock and poultry raising have great potential in the province with the current production unable to meet the supply demand of the populace. In the first Benguet Livestock and Poultry Raisers Congress held recently, Governor Crescencio Pacalso said there is a big opportunity for this sector given the lack of supply to meet the demands of the people in the province. 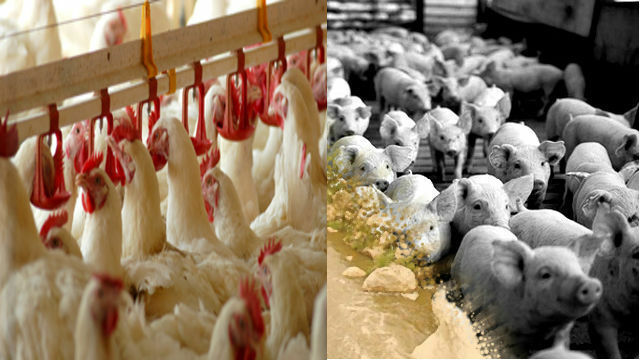 Most of the supply of livestock and poultry products come from the lowlands and neighboring areas. He also encouraged livestock and poultry raisers to take care of their own and ensure safety for public consumption. Dr. Anthony Bantog, Chief of the Regulatory Division Department of Agriculture Regional Field Office, affirmed there is potential gain in venturing to backyard production which is not yet appreciated as source of income in the province. What is good in the province, most of the populace have high consumption of meat and meat products, he noted as he encouraged the people to engage in such venture. “If we want to achieve self-sufficiency, we should invest in backyard production because if consolidated it will accrue to a large volume of supply,” he said. While productivity is encouraged among raisers, Provincial Veterinary Office Chief, Dr. Miriam Tiongan, stressed producer responsibility such that withdrawal period of administering medications should be observed otherwise they become resistant. It will also have an adverse effect to the consuming public, she added. Based on Philippine Statistics Authority 2015-2016 data, Tiongan said the estimated per capita consumption by commodity of livestock and poultry and products in kilograms are as follows: pork, 15.528; beef, 2.263; chicken, 18.355; and chevon (goat meat), 0.102 while chicken egg, 116.880 pieces per capita. As to the province’s contribution in the region on the production aspect, carabao production is 13 percent; cattle, 10%; goat, 18%; hog, 17%; layers, 18%, and native chicken, 13%. Bantog said in strengthening animal production in the region, DA is set to focus on financial assistance to raisers but still awaiting the guidelines. Contract growing is also a possible venture with suppliers who will provide stocks and inputs. The congress is a good venue in linking the farmers, he said.